Pin It Now! We have got an interview with Razlin from Malaysia (Sepang). 1. Why did you start to support Manchester United? Family tradition - everyone supported United and most important my heart love Man. 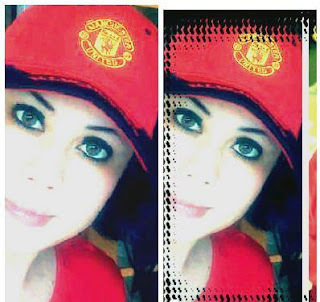 United till I die.. (Awesome team). 2. Who is your favorite player this season? Got to be Robie Van Persie. He looks like he was born to be a United player shame we didn't get him earlier. And for sure my hero Valencia!! He's look and very "speed" on the match.. (My bf) lol..
3. Who is the best player Manchester United had in its history? So many the best player in its history.. For me it has to be George Best.. Eric Cantona.. Andy Cole.. Ole.. And SO many.. lol..
6. What is the best memorable moment you had with the club? l would have to say being at Wembley in 1990 to see us win the FA Cup Sir Alex first trophy!! 7. What do you think about Alex Ferguson? He has got to be the greatest manager ever not only for his achievements at United but for what he did in Scotland with little money and an unfashionable team Aberdeen. 8. If you were the manager of Manchester United, who's the player, you would bring to the club? It would have to be Ronaldo. l would love to see him in our team again though l suppose Messi would be pretty good too but seriously l think all we need is a big strong midfield player maybe Wanayama from Celtic. 10. What will be the achievements of the club this season? I'm not sure but I'm certain we can win something hopefully the Premiership and l think we have a chance in the Champions League no team looks that brilliant yet this season. 11. What makes Manchester United as a special club in comparison to other football clubs in the world? I suppose the main thing is the Munich Air Crash and all the sympathy for those 8 young players but that's not all the way United play football has always been exciting and vibrant and the team was born in a huge industrial area were working men needed something to do away from work and as years passed their families moved around UK and the world taking their support of United with them so it spread everywhere.